exuding class and style without pretentiousness. 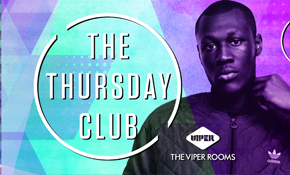 Exclusively for everyone, The Viper Rooms will become the destination for those who like to party and where everyone’s a star! Customers will be able to order Cocktails from an extensive menu on any night, alongside the option to reserve VIP waitress serviced tables in advance. 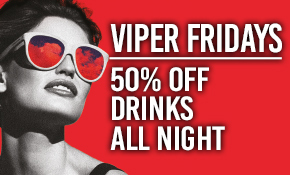 The Viper Rooms will be the perfect destination for after work drinks. ARE YOU LOOKING FOR VENUE HIRE IN KINGSTON-UPON-THAMES? The Viper Rooms is available for venue hire, providing a multi person capacity room complete with it’s own bar, DJ booth, dance floor and smoking area. You can hire the Viper Rooms, making it an ideal choice for birthday parties, Events, Celebrations. More information can be found on the venue hire page. 50% OFF DRINKS ALL NIGHT!